Get up to speed on the Common Core State Standards or explore the world of digital learning. These bite-sized courses will walk you through each issue, step by step, as you work your way toward earning a badge. Then you’ll be ready to advocate on behalf of young people for policies and programs that can make a difference. Take action! Your voice matters and now you have more tools to make yourself heard. Connect with elected officials, contact the media, or share your favorite video on social media. Every action you take earns you points and gets you closer to the next level of an Action Academy diploma. Complete your profile for a more personalized learning experience and connect with like-minded education advocates. Are you a Super User? Giddy for global education? Show what you know! As you complete these courses, you’ll earn virtual badges that showcase your interests, efforts, and actions. 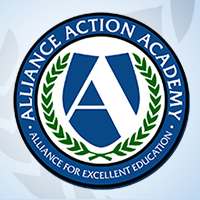 See how you rank compared to the other Action Academy education advocates.